Mike McCready of Pearl Jam has lost 2 lead singers in side project bands he has recorded and performed with. 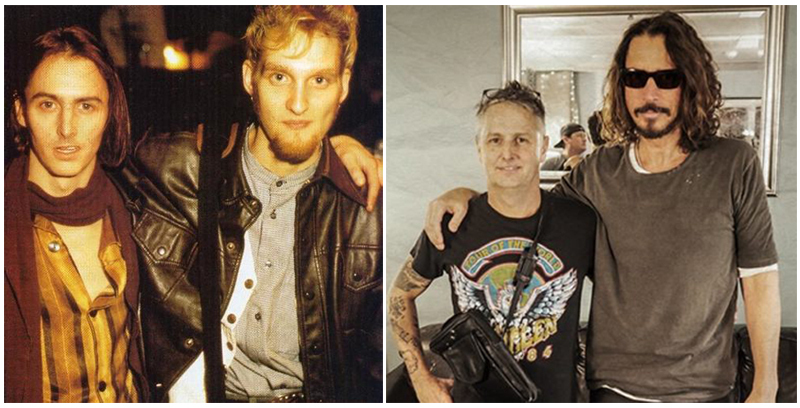 Layne Staley (2002) with whom he made the Mad Season album and Chris Cornell (2017) who was the lead singer of Temple of the Dog. 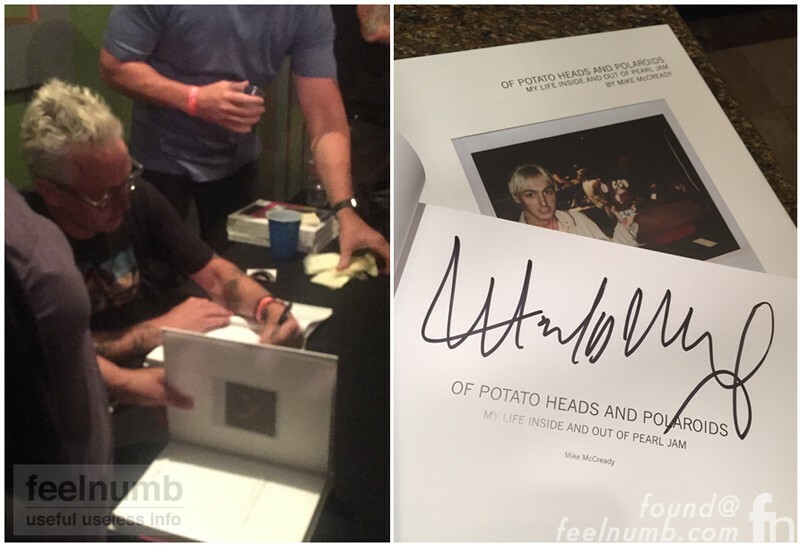 I was on hand at the Los Angeles Q&A hosted by Cameron Crowe and signing for McCready’s book “Of Potato Heads and Polaroids: My Life Inside and Out of Pearl Jam” at the Regent Theatre on July 25, 2017. It was during the interview that he spoke about the recent death of Cornell and later about the death of Staley. Check out the exclusive feelnumb.com video about his former singers. It was a great night and some great stories and the book has some great polaroid photos. 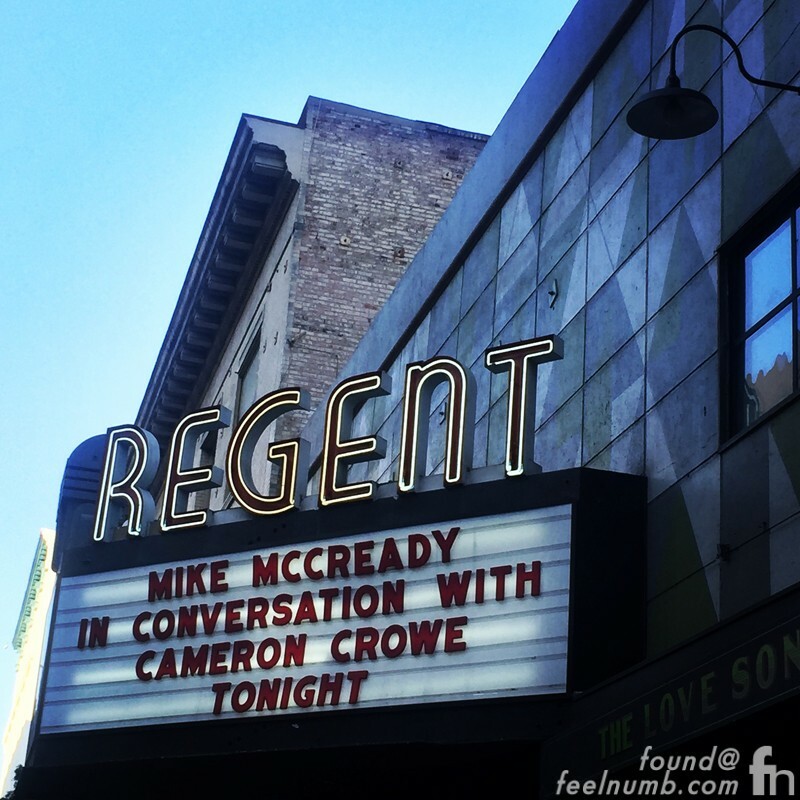 Check out the signed McCready book!!! McCready in essence made the book for free as Pearl Jam would always put Polaroid film on their Tour Riders. Click photo or link below to check it out!! !